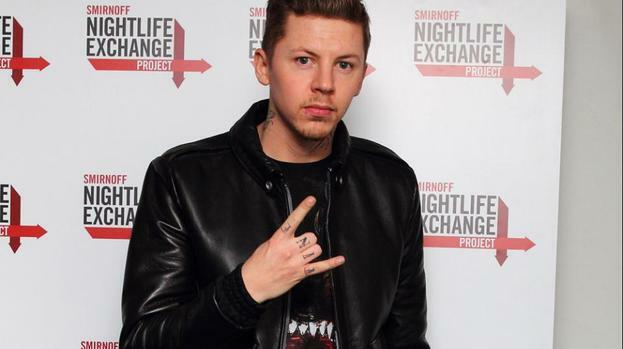 Professor Green has been charged with DUI in the UK. The 30-year-old rapper was arrested in south-east London on November 3 last year by police investigating a suspected mugging. Officers had been called to Tyrwhitt Road in Lewisham where they discovered a Mercedes car and a van had been involved in a crash. Professor Green, whose real name is Stephen Manderson, was charged while answering bail on Tuesday. He is due to appear before Bromley magistrates on March 20. Professor Green was also arrested at the end of November on suspicion of perverting the course of justice, however, the Crown Prosecution Service confirmed no further action would be pursued in that matter.